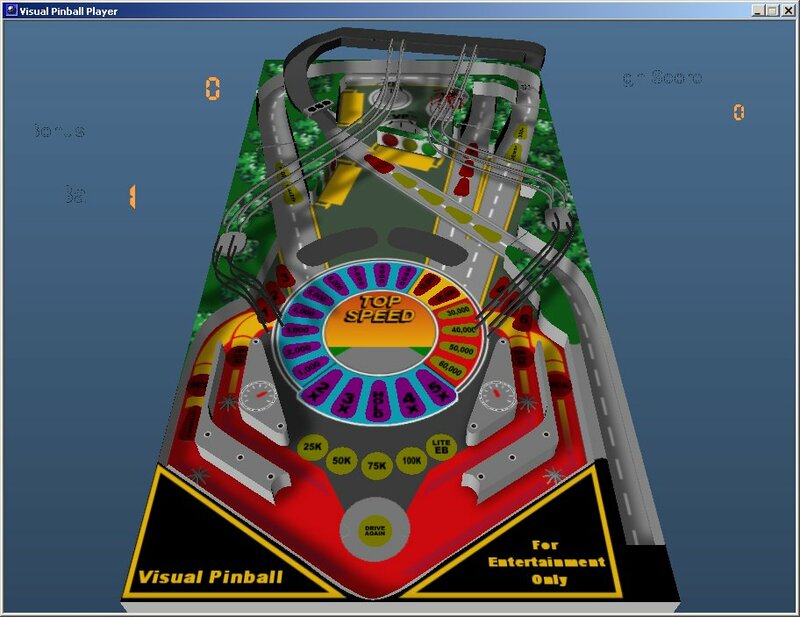 The first flipper pinball machine was released 68 years and 1 month ago and yet there is only a handful of open source, cross-platform pinball video games available! Oh well, let's take them for a spin, shall we? UPDATE Dec 1st, 2015: 1. Added Libre Pinball, see Honorable Mentions below. 2. Added conclusion section. 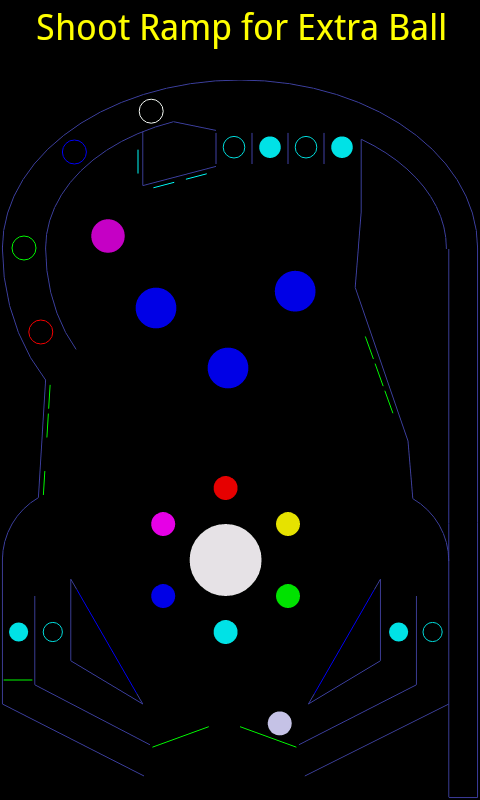 Started only a month ago, Nova Pinball's simple sole 2D table is a lot of fun and development has made good progress. The models are very low-poly, which is fine and fast but the textures are sinfully low-resolution. However editing textures appears to be simple in existing tables, simply by overwriting them with higher-resolution files, as demonstrated with the angry gnu head in the screenshot above. Creating new tables requires an editor, which I unfortunately was not able to compile yet (possibly due to lack of old Qt libraries). There is a zombie/horror/Halloween table, which unfortunately contains non-free content. The 2D Linball table is crazy fast but suffers from some sounds ripped from proprietary games (maybe there's more non-free content). Libre Pinball (thread) is very atmospheric but has no missions and only very few table elements right now. It was made using the Godot Engine. 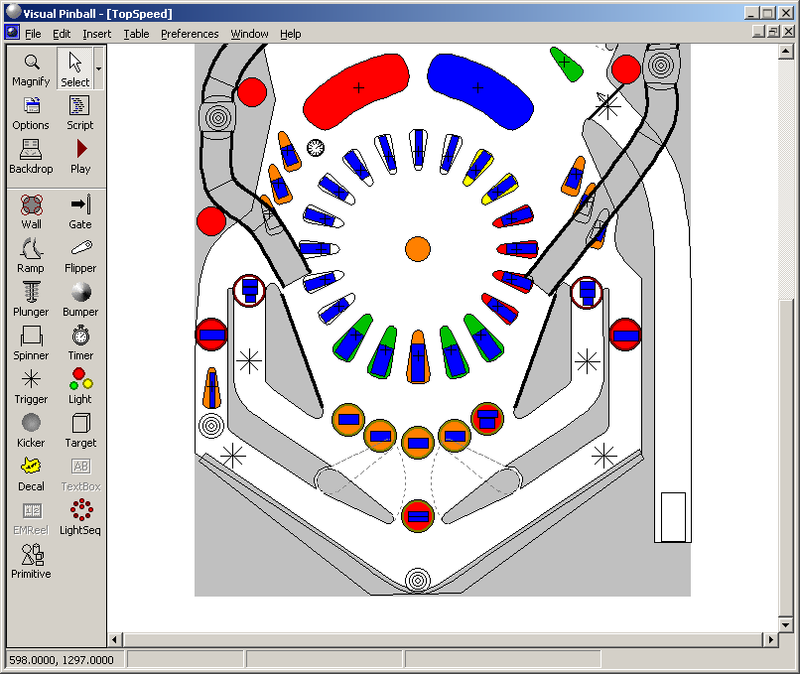 Sadly, Visual Pinball only runs on Windows (wine page). 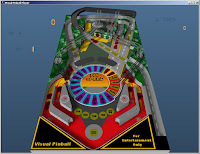 Vector Pinball for Android unfortunately has no instructions for desktop/Linux compilation. 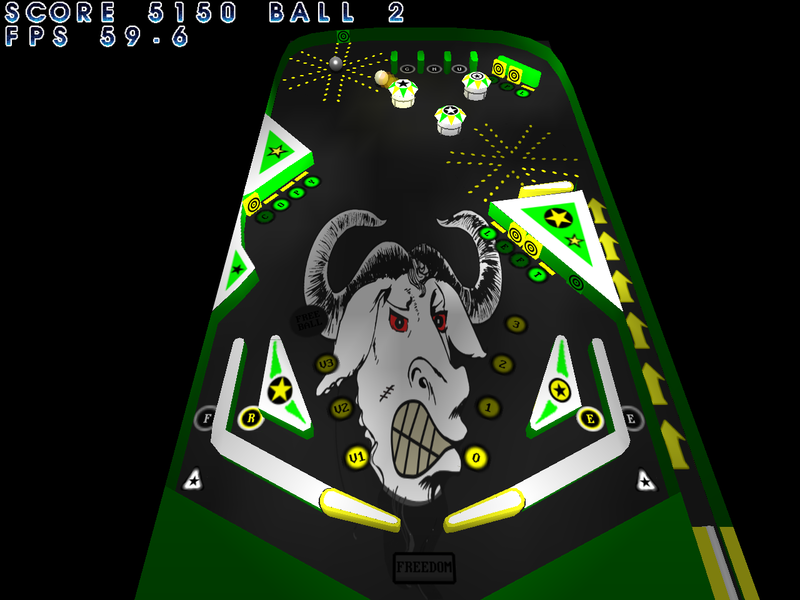 Devil's Pinball is a Blender-made pinball table. It's quite buggy when played in recent Blender and there is no license information. 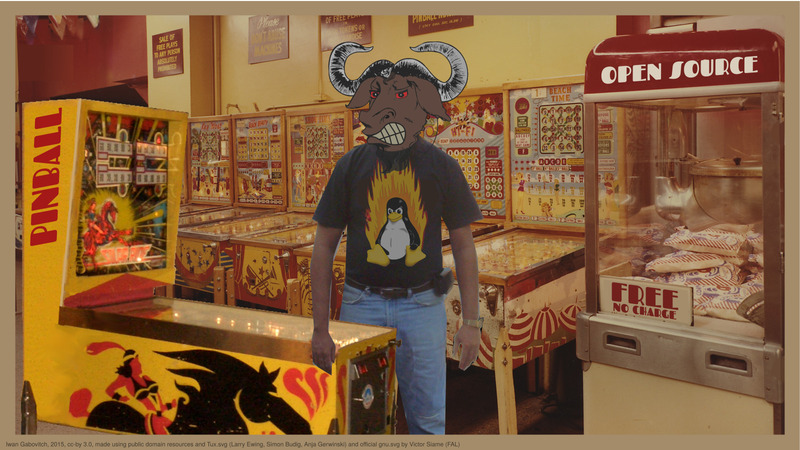 I find the open pinball games on Linux more entertaining than I expected them to be. The major downside is decoration and context: while the themes of some tables are intriguing, they unfortunately exist in a widescreen world without a proper background that adds to the experience. And of course some accessible (video) documentation on how to create new tables would be a huge plus. 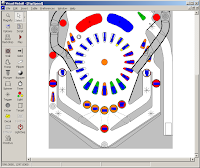 Got theme ideas for open source pinball tables? Write them in the comments!